The true story of amateur sailor Donald Crowhurst's solo attempt to circumnavigate the globe. The Mercy is a powerful story based on real events, which tells of egotism brought low by human frailty. The story of Donald Crowhurst is one of a man intent on making a bid for fame, who finds that he is compelled to embark on an undertaking that tests his abilities beyond breaking point and that ultimately claims his sanity. In The Mercy, Colin Firth’s Donald Crowhurst is portrayed as a man backed into a corner by his own ambition. He is an inexperienced yachtsman who sees an opportunity to seize a place in history and raise the profile of his own company by entering the 1968 Golden Globe Race and attempting to circumnavigate the globe in record time. Crowhurst has an avid desire to make his mark on the world, even more than gain the prize money, but he also hopes to invent and build a boat that can go faster than any other, fitted with all the latest apparatus and gadgets of his own design. To that end he seeks financial backing from local Teignmouth businessman Mr. Best (Ken Stott). Best is persuaded to finance the building of Crowhurst’s dream boat, called the Teignmouth Electron. However, as costs mount and the building time drags on, more money has to be poured into the project and, as collateral, Crowhurst is forced to sign a contract that forfeits his house and business if he doesn’t finish the race. Francis Chichester’s successful single-handed, round-the-world voyage, having only one stop in Sydney, inspired the Golden Globe Race. The considerable publicity his achievement garnered led a number of experienced sailors to plan the next step - a single-handed, round-the-world sail, but this time without stopping anywhere. The Sunday Times had sponsored Chichester, with highly profitable results, and was interested in being involved with the first non-stop circumnavigation; but they had the problem of not knowing which sailor to sponsor. They solved this by declaring the Golden Globe Race open to all comers, with automatic entry. (This was in contrast to other races of the time, for which entrants were required to prove their sailing ability). After countless delays and with the threat of financial ruin if he does not compete, Crowhurst hesitatingly agrees to set off at the last possible moment. He knows he departs in a boat still unfinished and ill-prepared to take part in such a demanding challenge. All of his safety devices are uncompleted; he plans to work on them when he is already under way. Also, many of his spares and supplies are left behind in the confusion of the final preparations. On top of it all, Crowhurst has never had the chance to practice sailing on his newly designed trimaran before taking delivery of his boat. Running into trouble early in the race and realising that neither he nor his boat are fit for purpose, Crowhurst desperately begins fabricating reports of his position in the race. His PR man back in England, former Daily Mail crime reporter Rodney Hallworth, (David Thewlis) further embellishes the reports and is delighted when the story us taken up by the national press. Nothing however, could be worse for Crowhurst, who has to find ways to cover up his real situation and begins to see no way back from his deception. The Mercy proves to be a gruelling study of a man who abandons his family for an impractical sailing challenge, and soon realises he has put himself in an untenable position which will result in the loss of everything he holds dear. 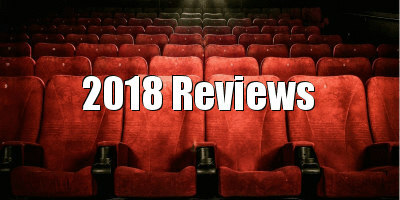 It is performed with compassion by an excellent cast, and director James Marsh (Man on Wire, 2008; The Theory of Everything, 2014) draws nuanced performances from Rachel Weisz, who plays Crowhurst’s supportive wife Clare, Thewlis as the tenacious PR man, and Stott as the businessman who funds the sailor’s dream but who insists on a penalty clause that may ruin him. 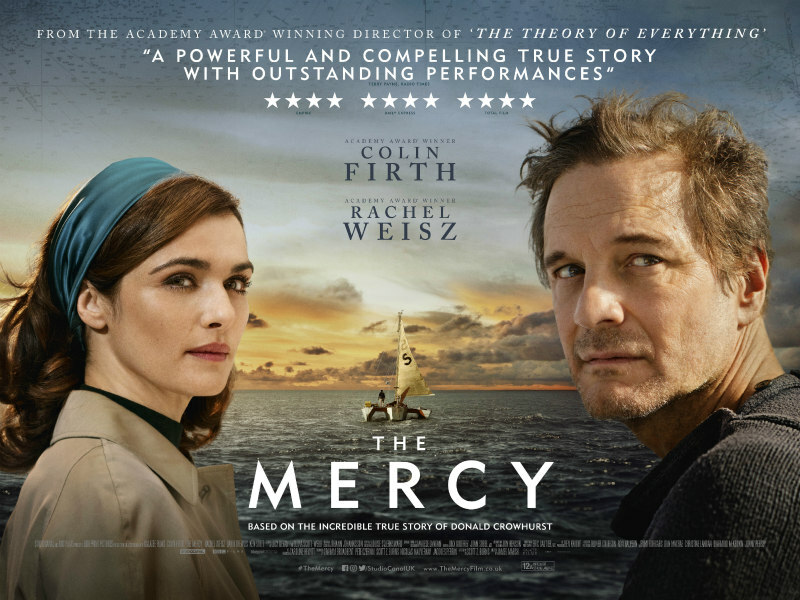 The Mercy offers a retelling of Crowhurst’s story which sometimes appears to be an attempt to explain and perhaps to rehabilitate the reputation of a man history has not dealt with kindly. To this end, Firth manages to present Crowhurst as a sympathetic and almost heroic character. The tragedy of his position is made evident, but whether Crowhurst was a fatalist or a fantasist and deserves that kind of compassion is a question left to the judgement of the audience.